A few months ago, I began the process of job-hunting and preparing for a new season in a new city. I’d stayed in my university city for a year after graduating, but then God challenged my plan and asked me to trust in His plan. For many of you, God may have recently asked you to do the same, and I can fully understand how scary it can be to step out into the unknown. We are given so much information on what we could do, but, when we are faced with all the options, it can be much harder to work out who we are supposed to be. Sometimes God clearly reveals a job to us, but more often that not, job-hunting is a process we partner with Him in, gradually discovering who we are and His plan for us. As I began narrowing down options, I found it helpful to spend time asking God to reveal who he has made me to be. Repeatedly, God reminded me that he cares far more about my heart than he does about my job title. As we tune into our God-given passions, gifts, and calling, we begin to get a clearer idea of where God is leading us in the job market. It is important to say at this point that a job is not the ultimate culmination of our passions, gifts and calling. 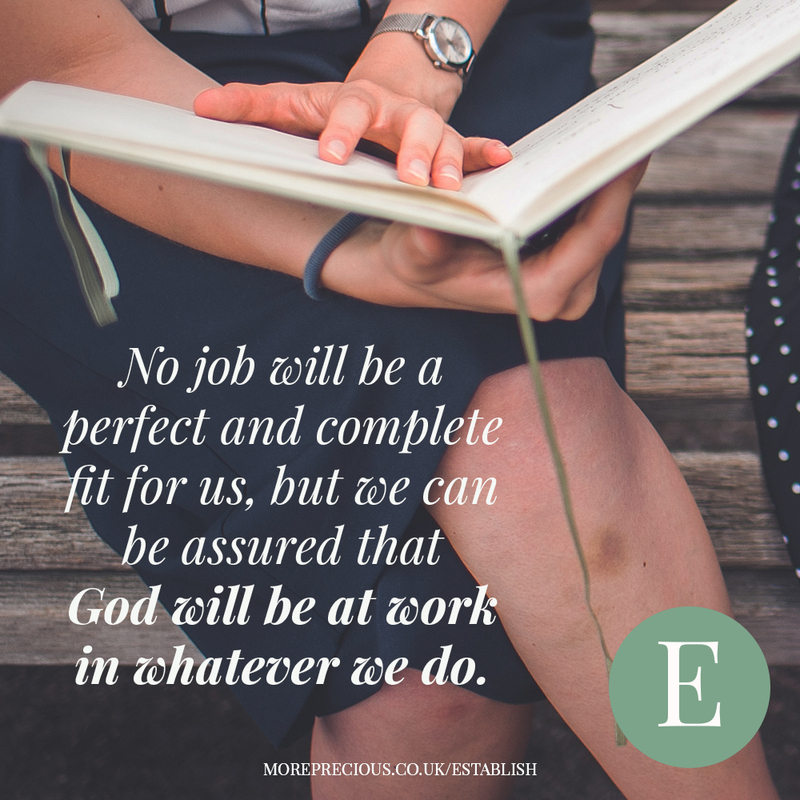 No job will be a perfect and complete fit for us, but we can be assured that God will be at work in whatever we do. Whether we’re academics, mothers, policemen, chefs, designers, vicars, astronauts, athletes or musicians, if our hearts are set on God then he will use our work as part of his plan for his kingdom to come. This reassures us that we don’t need to hunt until we find the perfect job… but it still doesn’t answer what job we should be hunting for. It can be tempting to apply for anything and everything, hoping for the best, but I found that the more I focussed on God, the easier it was to be intentional in my applications, trusting that he would open up the right job for me. You have something valuable to offer potential employers, so don’t just be honest on your CV, but strive to accurately portray all that you can offer. Listen carefully to who God says you are and the gifts he has given you, so that you can go into applications and interviews with the confidence that God loves you and is pleased with you, no matter what. Ultimately, we are saved regardless of whether we are employed and our value is not dependent on our achievements; that knowledge gives us freedom from both the need to perform, and also the fear of failure. Rejection can be tough, I won’t deny that, but when we put job-hunting in the context of discerning God’s best for us and growing into all he’s made us to be, we can see rejection as grace. We can be thankful that God closes some doors, because it helps guide us towards the doors he is waiting to open for us. If we are not offered a particular job then that is not a reflection of our adequacy or inadequacy as people, simply that, as dearly beloved children of God, he has something better in store for us. I know that a pattern of job rejections can be disheartening but God promises us that his plan and his timing are perfect. We take heart that God has not forgotten us, but instead he is teaching us even in the waiting. He delights in partnering with us as we walk out this discernment process with him, knowing that our hearts are dependent on him, not on a job. What I discovered most through this whole process is that when I run out of myself, my own strength, my own ability and my own plans, I find that there is so much more of God. With every closed door, God opened up a part of himself to me, gradually helping me manoeuvre the job-hunting field in order to not just find a job, but to also be reminded of the all-surpassing beauty of my call to serve God above any employer. 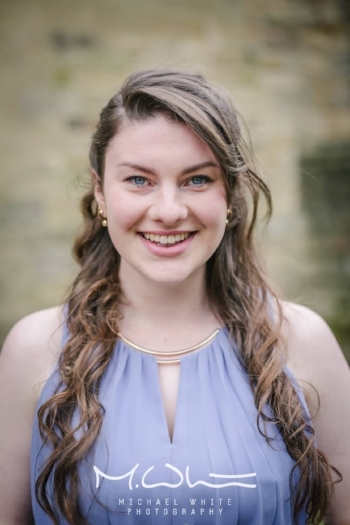 Eve is a Durham Theology graduate who spent the last year studying Graphic Design. She is passionate about creativity, loving people well, and seeing God's kingdom come as we encourage one another to step into our God-given identities. She is very excited to move to London to start work with the Evangelical Alliance.